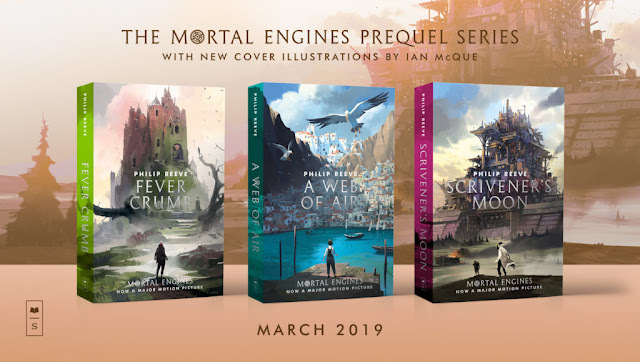 Philip Reeve announced today that his prequel series to Mortal Engines, will be re-released with new covers. These books are fairly different from Mortal Engines though fit nicely into the world Reeve created. Check out our review of Fever Crumb!